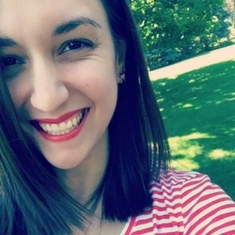 Hello and Happy Saturday everyone! Christmas is only a few short days away! Can you believe it?! I swear Thanksgiving was last Thursday. Time got away from me and I was unable to create a Christmas Nail Art wheel for this season. Oh well, maybe next year. Despite not creating a new wheel, I have been a busy little bee creating some Christmas themed manicures. Yes, I've done most of them before, but I'm trying my best to do new and different versions. So far I think I'm doing well. 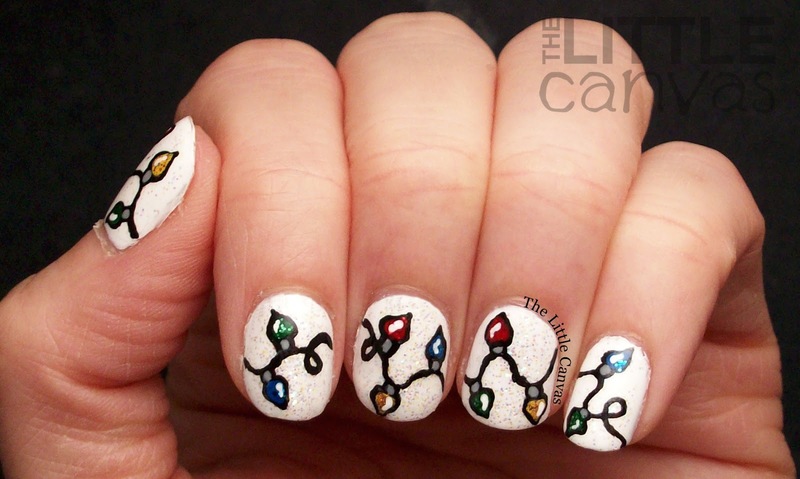 For today I decided to re-create my Christmas light manicure. In previous years, I have done a white gradient on my naked nail to look more like snow. This year, I decided to skip the gradient and just paint my whole nail white. I cannot tell you how much I love this version, which contained lots of glitter! Awesome, right? I started off with a base coat of Omghost from the Sally Hansen InstaDri collection that came out for Halloween. Even though it has a Halloween name, it's a white polish and can be used any time of the year in my opinion. My review of it is the same as it was then, a very nice white polish which applied evenly in two coats. When my white was dry, I added a top coat of one of my favorite glitter toppers, Sally Hansen Disco Ball! This topper is from the Hard as Nails line and is a must have. It is a small cellophane glitter which creates such a gorgeous sparkly effect no matter what color it is over. I love it over white because it truly makes the base look like snow! 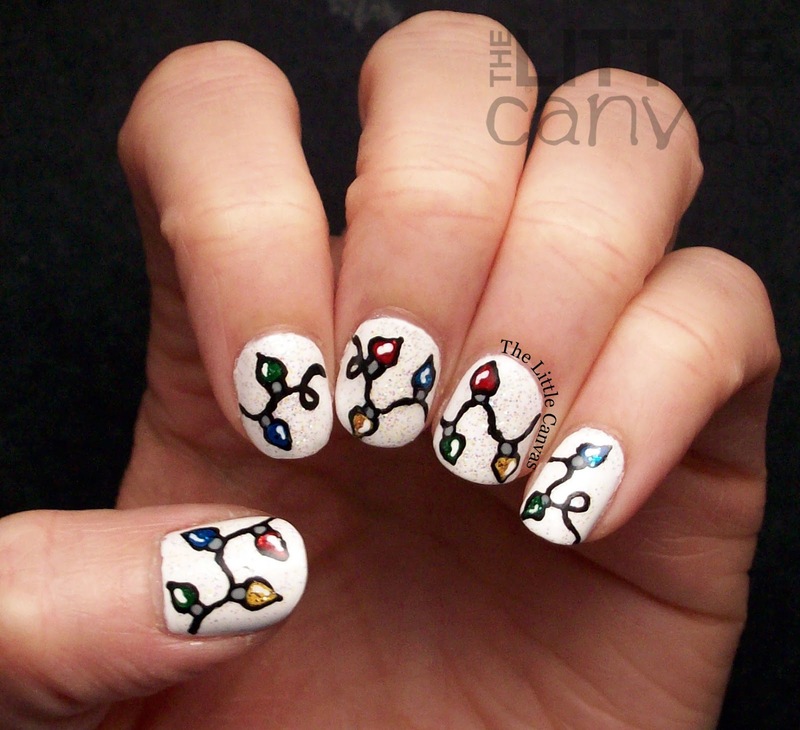 When everything was dry, I used my nail art brush and painted on the black string and outline of the bulbs using a black acrylic paint. When my outline was complete, I went through with the various NYC New York Color glitters and filled in the bulbs. 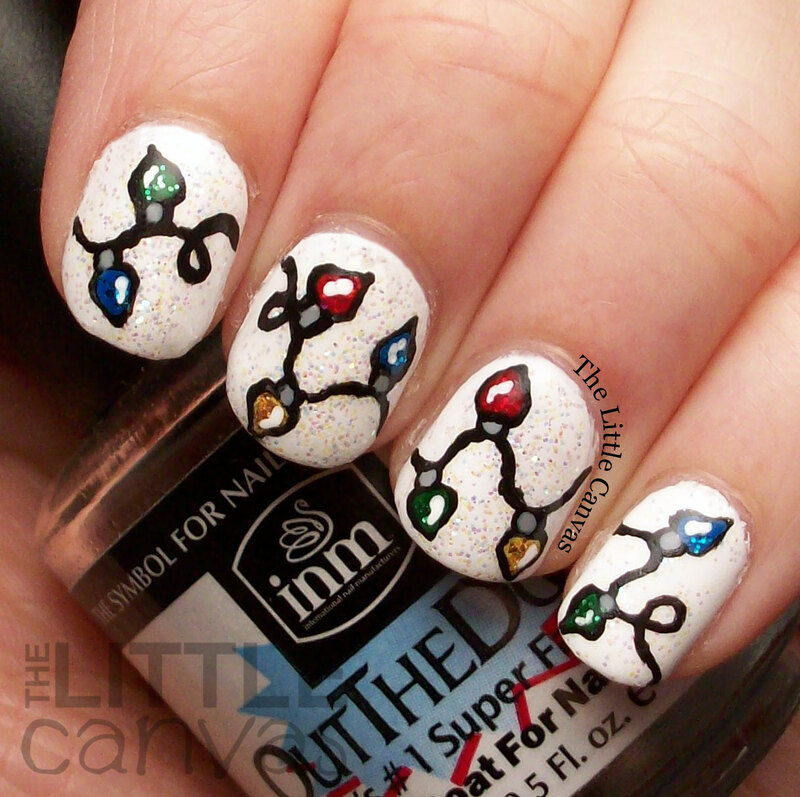 These polishes were PERFECT for light bulbs. Since they are jellies, they filled in the small area perfectly, and the glitters sparkled right through the colorful base. 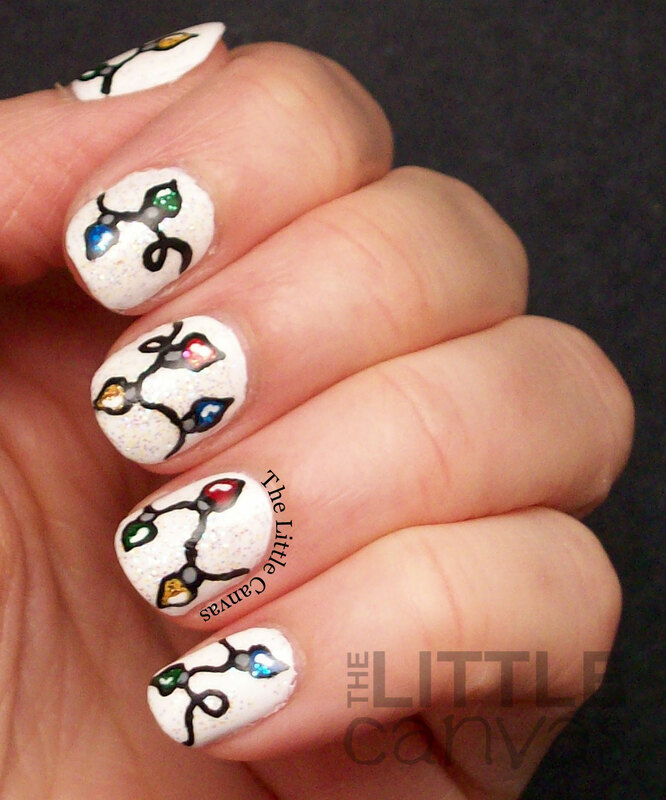 When you look at my nails in real life, they twinkled like real Christmas lights! What do you think? Liking the look? Something you would recreate?